I seem to recall that Bill O’Reilly got incensed over “hate speech” on liberal blogs. Does he ever read Fox Nation where the latest race baiting thread has a photo of Michelle Obama next to Carla Bruni, the wife of the French President. The Fox Nation readers are invited to “caption” it. 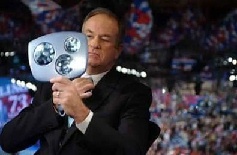 I seem to recall that Bill O’Reilly got incensed about the disrespectful treatment of Sarah Palin in an Emimem video. Does he ever read Fox Nation where racist (and other stupid and hateful) comments about our First Lady are just part of the terrain of a "nation" where ignorance, hatred, and racism are the "American Dream." Stay classy, Fox Nation! A relic of a different age or today's Fox Nation?